Here is an embryonal carcinoma of the testis. 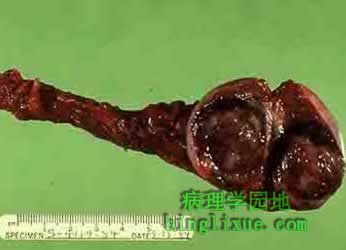 There is a rim of normal testis superiorly. The tumor is soft and much more variegated than the seminoma, with red to tan to brown areas, including prominent hemorrhage and necrosis.